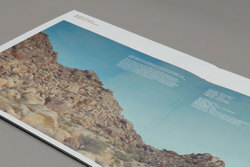 Floating Points - Reflections - Mojave Desert. Vinyl LP, CD. Bleep. 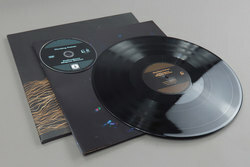 Floating Points follows up his stunning debut album Elaenia with Mojave Desert, recorded to accompany a short film of the same name made in collaboration with director Anna Diaz Ortuño. 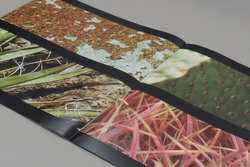 Taking its name from the surroundings in which it was formed, the album came together last August at the Mojave Desert when Shepherd and his band were rehearsing for their upcoming US tour. 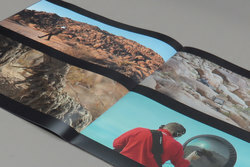 While out there they found that their surroundings offered a unique recording environment that led to the album's formation, Floating Points best explains: "Whilst we were out playing and exploring the area around us – the sound reflecting from the rocks, the sound of the wind between them, complete stillness at night and packs of roaming coyotes in the distance, it became apparent that we could use this as its own unique recording environment”. 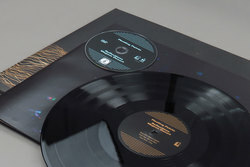 This intuitiveness has led to some of the most incredibly creative and sonically tuned takes on library, chamber, and kosmiche jazz that Floating Points has ever conceived. If there ever was an artist more fitted to turn their hand towards outward looking soundtrack rooted work it's Floating Points. 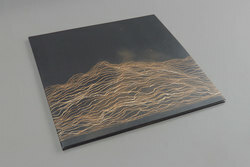 His subtle take on house and techno on his early records released on Planet Mu, R2 and Eglo paved the way forward with a sound that basked in a very distinct cosmic sound, these recordings added a variety of outside influences to more traditional DJ style tracks that ensured Floating Points was always destined to move towards the expansive world of audio that more soundtrack related sounds can offer. 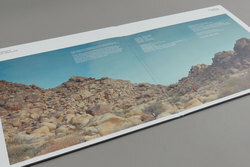 What's most striking is how much ground is covered within the album's twenty-six-minute duration, from the opening minutes of Mojave Desert the scene is set perfectly with a tense, deserted ambiance and hollowed-out field recordings of movement just out of sight, hiding in the falling darkness. Moving ahead, we are treated to a perfect title sequence segment with Silurian Blue, rolling hills of jazz drums and psychedelic guitar strings set the tone for a slowed down Kamasi Washington style breakdown before Kites moves back into the electronic sphere with its radiophonic style midway point. The closing two pieces Kelso Dunes and Lucerne Valley capture the album's magic perfectly by firing on all cylinders, mixing elements of street level funk and the more dusk-laden passages to bring the recording to its final curtain call. 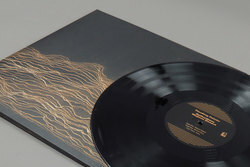 A stunning record from a leading light within the jazz and electronica world.